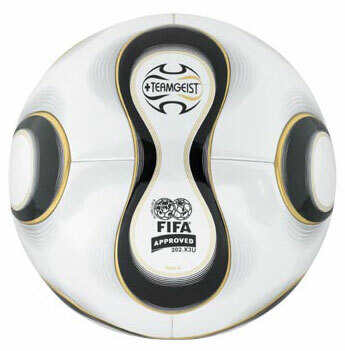 The +Teamgeist is the Official Matchball of the 2006 FIFA World Cup. It’s the most accurate football ever produced. No other ball reacts so flawlessly shot after dribble after pass, in the air and on the ground. Here’s an idea for a true global index: What’s the cost of the average [actually used by kids] soccer ball in your country? In the US it’s $19.95 for a decent kick-about ball. In Europe? China? Previous PostPrevious Craig Barrett: Where the Science Nerds At?